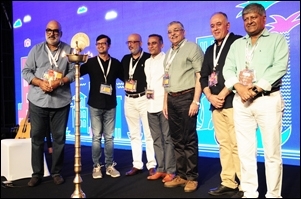 Goafest 2019 ended with Cheil India and Hungry Films bagging Branded Content and Entertainment and Video Craft Specialists of the Year respectively. The Abby Awards 2019, on the third day of Goafest, kicked off by recognising creative excellence in the Video Craft category. Hungry Films bagged 2 Golds for the 'World's Most Honest Tourism Film', created for Madhya Pradesh Tourism. Asylum Films won the other Gold in this category for the 'Durex Air' campaign. In the Branded Content and Entertainment category, Cheil India won 2 Gold metals with 2 entries for 'The Real Kashmir' campaign for Adidas India. In the same category, FCB India also fetched Gold for its Horlicks' 'Fearless Songs' campaign curated for the health drink brand. Cheil India was enjoying the limelight bagging Golds in the Digital and Mobile category for the 'Connected by Colours' campaign for Adidas Originals and Samsung Electronics' 'Bixby Voice Forever' campaign. Another Gold winner in the Digital and Mobile category was WATConsult for Racold's 'Mind Your Language' campaign. campaigns curated for the Karma Animal Foundation and Flipkart respectively. Autumn Grey bagged Gold in the same category for Samsonite's #KeralaIsOpen campaign. 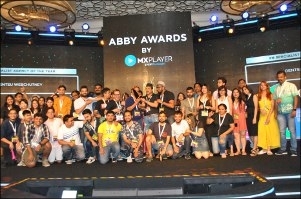 After passing out awards for excellence in the Digital and Mobile category, the Abby Awards then moved to the Digital Craft category where Dentsu Webchutney was the only Gold winner. The digital agency won for the 'Infant CPR' campaign for Jaslok Hospital and Research Centre. In the Audio Visual - TV, Cinema category, Cheil India won 2 Gold metals for 2 different entries for Adidas' 'The Real Kashmir' campaign. In this category, Helios Media, for the Ministry of Road Transport and Highways, won Gold for its 'Road Safety' campaign. In the Audio Visual Digital category, broadcaster Viacom18 fetched the only Gold for MTV's 'April Fool's-Prank at Your Own Risk' initiative. In the Integrated category, once again, Cheil India's 'The Real Kashmir' campaign for Adidas . Happy mcgarrybowen and FCB India were awarded Gold in the Special Abby (Gender Sensitive) category. Happy mcgarrybowen won for Ola's 'My Independence Day' campaign whereas FCB's was for the 'Ladki Hath Se Nikal Jayegi' campaign for Mahindra and Mahindra. 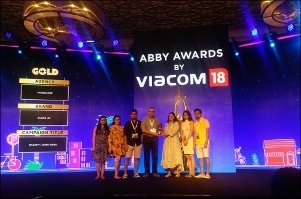 On the final day of Goafest 2019, Viacom18 was awarded Creative Company of the Year. The Digital Specialist Agency of the year award went to Dentsu Webchutney and Hungry Films won the Video Craft Specialist of the year award. Cheil India won the Branded Content and Entertainment Specialist Agency of the Year award. And, that's how Goafest 2019 came to an end. Goafest 2019 saw the registration of about 2000 delegates while the Abby Awards saw 2700 entries this year. 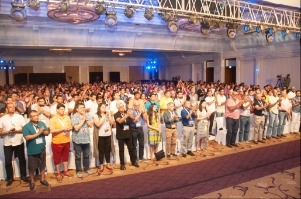 Ashish Bhasin flags off Goafest 2019; "400 organisations participated as delegates, entrants..."